It is 2015, and Lana Del Rey has nothing left to prove. She has two successful albums, a unique voice, and a controversial SNL appearance. So where is the sultry songstress to go next? “Honeymoon” sees the singer retreat into character, simply spinning tales of seductions gone right and seductions gone wrong. Lana Del Rey’s major debut “Born to Die” helped establish her as a strong singer, and one with a Bond girl-like aura. Last year’s “Ultraviolence” helped build up her persona as a Hollywood classic sob story plucked from time. So on “Honeymoon,” she reconciles these two works, and lets her voice alone carry the album. Indeed, trying to pick out her best vocal song on “Honeymoon” would be no easier than just throwing a dart at the tracklist. Her voice, powerful but restrained, dominates every track on the album. She coolly draws the listener in, like a scent drawing in an animal in an old cartoon. And suddenly, we’re trapped, ready to either join her or listen to her talk about others that didn’t join her. Del Rey’s voice is easily the strongest aspect of this album, to the point that reviewing the music is irrelevant; if you’ve heard lead single “High By the Beach” then you’ve heard the most musically interesting song on the album. “Honeymoon” does suffer from a problem that her first two albums skirted around, and that’s repetition. This album is repetitive to a fault, every song engineered the same way like the old club singers used to do. The two exceptions are a weirdly misplaced reading of a T.S. Eliot poem, and a cover of “Don’t Let Me Be Misunderstood.” The album takes a few listens before tracks soak up individually, which is not something to say of her first two (especially “Ultraviolence”). 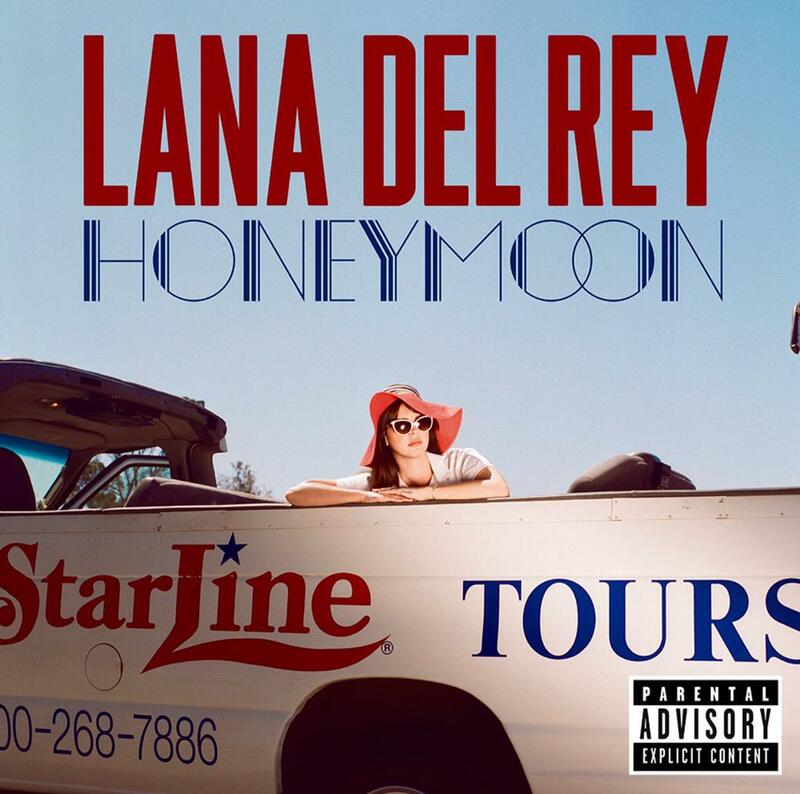 Still, “Honeymoon,” once given time to air out and set itself align, is quite a pop album. Del Rey has settled into her pop persona remarkably well. Between her three major release albums, she’s established both a voice and an identity, and has set herself aside from any contemporaries. Each album has its own being, with fault, but each is strong. It wouldn’t be surprising to see more of the same from Del Ray soon, but then again, it wouldn’t be surprising to see something totally different, either.